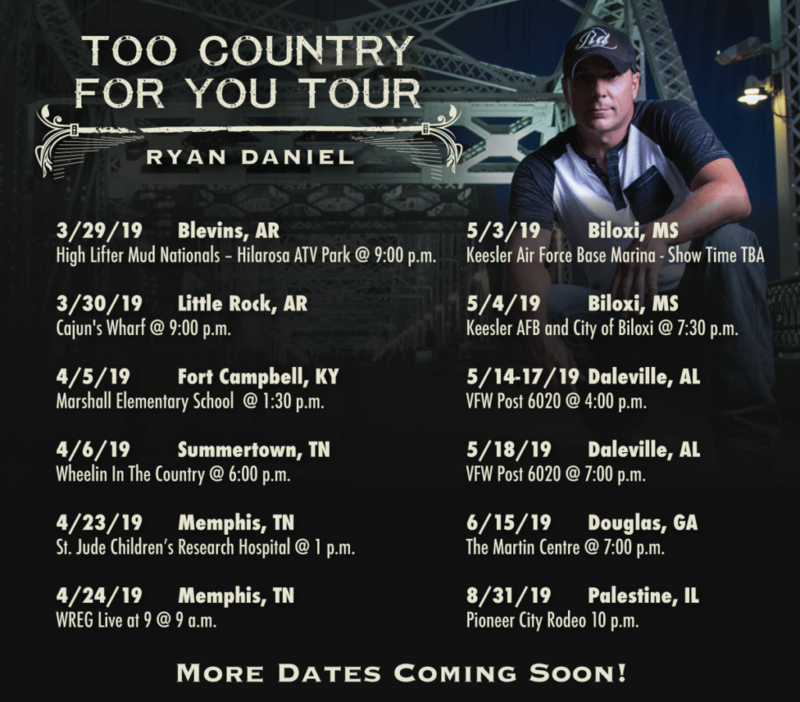 Daniel to perform in Tennessee, Arkansas, Kentucky, Mississippi, Alabama, Georgia and Illinois. More dates and locations to be added. 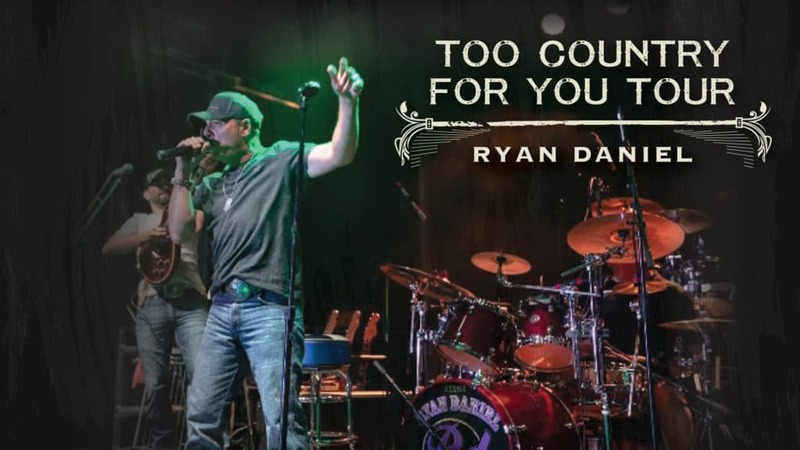 The “Too Country For You” tour will feature Daniel and his band performing a combination of songs from his album, “Back For More” that includes his new single “Bring on the Night,” “Lies and Bruises,” and “Feel Good Feelin’” as well as some of their favorite cover songs. Daniel’s new single “Bring on the Night” is in rotation on country radio nationally and topped industry charts at #10 in streams and #17 in downloads in less than 24 hours after being released. New dates and locations are being added weekly. More information can be found at https://www.ryandanielmusic.com/tour-dates/.